AmaZulu coach Cavin Johnson says Siyabonga Nomvethe is still part of the team. Johnson’s comments come after Nomvethe’s lack of game time at Usuthu was questioned. 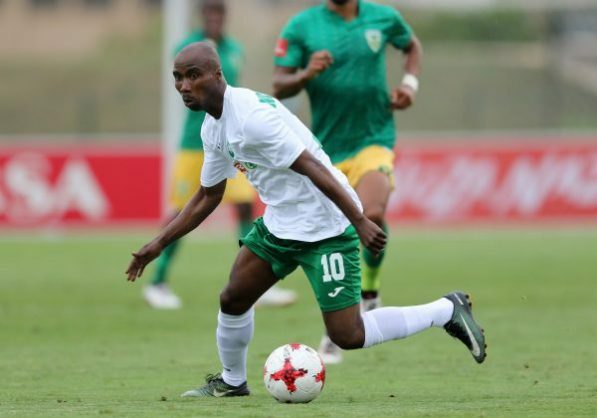 Nomvethe has played six games for AmaZulu in the 2018/19 season and scored two goals. The former Bafana Bafana striker extended his contract in December for six months until the end of the season. Johnson says the 40-year-old is still part of the team but didn’t make the 18 man squad which beat Bidvest Wits 2-0 at King Zwelithini Stadium on Saturday, and his absence is no different to that of any player who didn’t make the match day squad.